Remember last week’s blog from our students who travelled with Coventry University to Lyon, France? 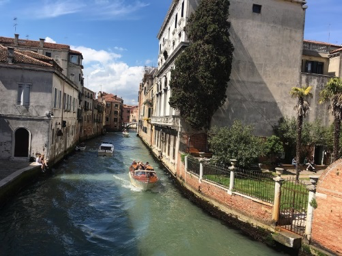 This week, Edlyn Klampe and Lau Tsz Tung – two adventurous students who travelled to Venice with the Linguae Mundi team – are here to tell you all about their time in one of Italy’s most beautiful cities and how you could join the next trip and get global ready! Edlyn: Right from the start it was obvious that this trip was very organised, we were briefed a couple of weeks before the trip about everything. I think it was great that one of the trip organisers/supervisors was from Venice, so we had a local to show us around. It made everything a lot easier and the journey smoother! 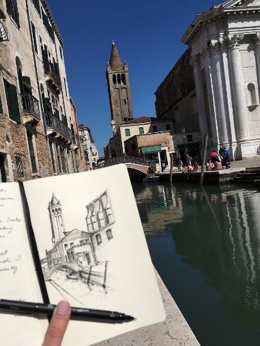 Edlyn: Venice was a good choice of destination, with a lot to see and experience. 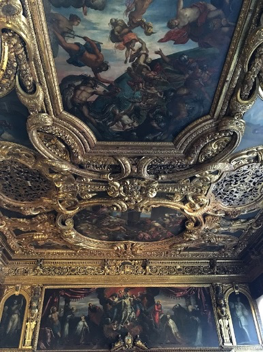 With all the classical architecture and arts, even just walking around in Venice, no matter where you look it is beautiful. We were very lucky with the weather, it was warm and sunny almost every day, which made all the sightseeing and exploring very enjoyable. On Monday we explored around Piazza San Marco, went to the basilica, did some shopping and in the evening we all had a meal at the Hard Rock Cafe. Tuesday we had a trip to Murano Island, we got to see how Murano glass sculptures are made and then to the Murano Glass Museum. Wednesday we had a trip to Mestre, the mainland, where we saw how gelato is made and went to a shopping centre. On Thursday we went to Palazzio Ducale and Rialto market. On the last day we went to the La Fenice Theatre. 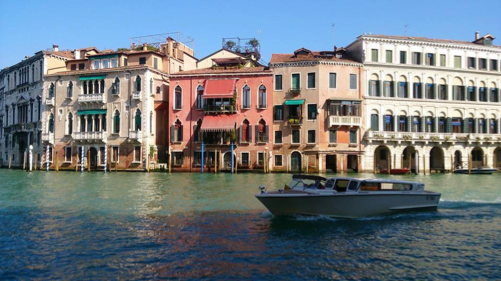 Lau: Venice is a classical, romantic and beautiful city. It sits right in the Venetian Lagoon which further increases the charm. When I was in Venice, I was surprised at how people use a water bus as their main transportation. Although we have Star Ferry in Hong Kong, we still primarily take the bus, train, van or taxi. I was also attracted by how we could see canals everywhere. They all seemed to tell a beautiful and romantic tale. Likewise, housing in Venice is also worth mentioning: colourful housing along with shimmering canals naturally constituted an admirable painting. Besides the scenery, the food in Venice was also nice, especially the ice cream ‘Gelato’. We were all obsessed with it and we ate them almost every day. 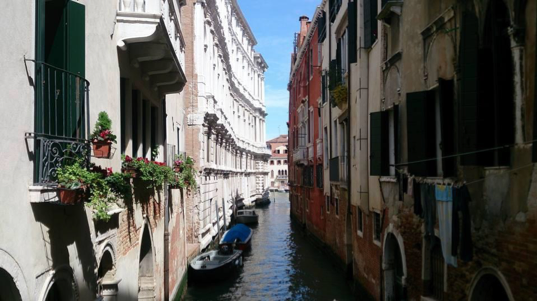 Edlyn: I am very glad I had a chance to see so many places and wander around the little streets. Overall it was a great trip. Lau: Throughout the whole trip, I met new people, made new friends and broadened my horizons. What is more, I got the chance to practice my Italian. This was a memorable, meaningful and marvellous trip. How do you get to go on an adventure like this? Coventry University send more students away to enjoy international trips than any other university (HESA stats). Our Centre for Global Engagement have thousands of opportunities waiting for you to take advantage of, in the UK and across the world. 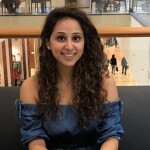 These life-changing experiences will go on to make you a more employable graduate, as well as giving you memories you’ll want to show off about for life! Get Involved!, Global Travel, Guest Blogs, Join Us, plus, Real stories, Student Life, Student Wins, Why Cov Uni?